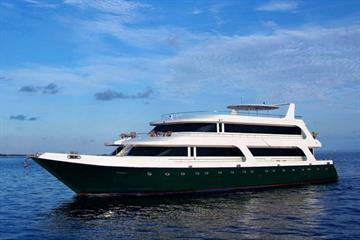 A liveaboard cruise to Rasdhoo Atoll is the highlight of many divers' Maldives dive trip. 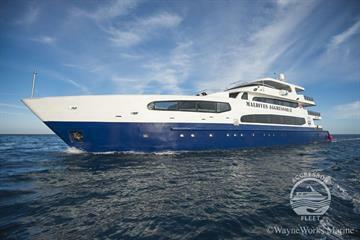 To see why, you'll probably have to board your dive dhoni at dawn and speed toward the atoll's outer edge. What deserves this early morning wake-up? Schooling scalloped hammerhead sharks. However, Rasdhoo Atoll actually offers a great deal more than just hammerheads (as if they werenít enough). Whilst only a small atoll just northeast of Ari Atoll in the Central Atolls, Rasdhoo's small area is graced with a bounty of world-class dive sites, frequented by heavy-hitters like reef sharks, mantas, and big pelagic fish. The topography at Rasdhoo consists of walls, thilas, and kandus. Some dives contain interesting combinations of the above, such as channels with the wall of an island on one side, a sandy bottom in the middle, and thilas on the other side, beyond which lies the deep-water drop-off. Rasdhoo's marine life ticks all the boxes, even for seasoned Maldives divers, offering manta rays, eagle rays, and big stingrays, whitetip, blacktip, and grey reef sharks, Napoleon wrasse, schools of pelagic hunters, and big reef fish. Overhangs and caverns (and currents) make the dives challenging and engaging. The area is not known for colorful corals, though a couple sites do have notable patches of healthy coral cover. 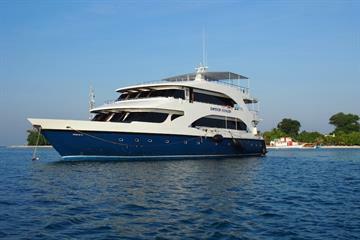 Hammerhead Point is a given on Central Atolls liveaboard dive tours. Here, on the outside corner of Madivaru Island, the blue water holds an unparalleled sight, but divers must be prepared to wake up before dawn to catch it. As around 6 AM, schools of scalloped hammerheads rise from the deep, and if youíre just a bit lucky and wait quietly in the right place, you stand a good chance of seeing them glide past you. The ridge at Hammerhead Point can be explored for interesting reef life, but remember to keep one eye on the blue, since tuna and other impressive pelagics may join the hammerheads for a visit. Manta Block in North Channel gives divers a very good chance to observe manta rays hanging out at a shallow cleaning station (about 13 meters down). Other areas of North Channel are also frequented by mantas, as well as by schools of jacks, Napoleon wrasse, sharks, and a variety of reef fish. Rasdhoo Channel is an underwater crossing from one island to another; hopping from thila to thila, divers often find sharks, pelagic rays, and big fish. Madivaru is a crescent-shaped reef off Madivaru Island that offers good hard coral, along with the incredible fish life common to Rasdhoo. Rasdhoo Atoll is best dived by Maldives liveaboard, so it can be combined with other world-class dive sites in the Central Atolls and beyond. 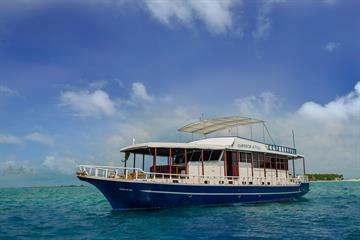 The length of liveaboard cruises visiting Rasdhoo usually ranges from 7 to 11 nights, with a budget from a bit under 200 to 400 euros per night. Liveaboards often spend at least one morning in Rasdhoo on itineraries including Ari, Male, Vaavu, and sometimes the Northern or Deep South Atolls as well. 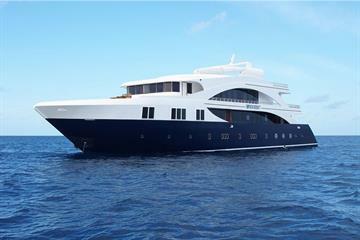 Male is the main liveaboard departure location for Rasdhoo Atoll liveaboards, accessible by direct flights from Dubai, Singapore, and Colombo. Longer international flights from Europe, America, China, India, and Australia often connect through the regional airports mentioned above. Diving Rasdhoo Atoll is possible all year round, but the northeast monsoon from December to May allows the calmest surface conditions and the least rain. The water temperature usually stays between 26 and 29 C, and visibility between 15 and 30 meters. Manta-lovers should note that the manta season runs from November through April. Saw sting rays and white tip sharks. Saw a really big silver tip shark. This was also a negative entry current but it surprised us how little current we ran into because our dive instructor was very knowledgeable on how to keep us in the protected area so we didn’t exhaust ourselves fighting against. Channel dives were nice. Drifting through channels good. Reef at last dive was very pretty. Best of the bunch, some living coral and lots of shoaling fish. If you love diving, this is where you want to Dive. Excellent again... also amongst favourite dives. Nice landscape. Enjoyed the mantas. No chance to see any hammer head shark. This was my favorite, really beautiful! Rasdhoo Madiraru ×2 Many fishes. Bautiful sight. We did not dive the Rasdhoo Atoll. We instead did the Vaavu Atoll. Here we found some of the most beautiful soft corals on the planet. Every color imaginable. Visibility was also amazing here. All the atolls were special in their own way. 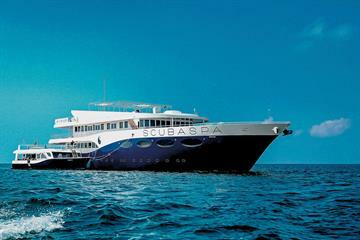 A great dive area with close encounters with silver tip and grey reef sharks. Good, marine life a plenty.